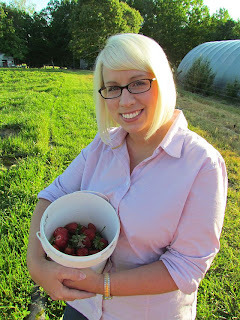 This week on #KitchenSinkRadio I am excited to have my friend and fellow food blogger, Brandie Skibinski of www.thecountrycook.net on the show! I have been following Brandie for a while now and her posts never fail to impress! 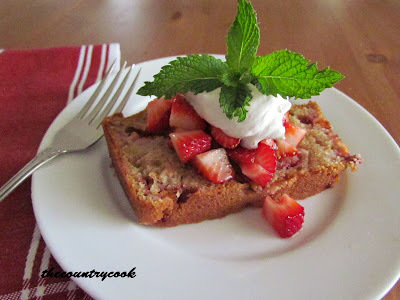 I think one of the first posts of hers that I remember seeing was for Strawberry Bread. 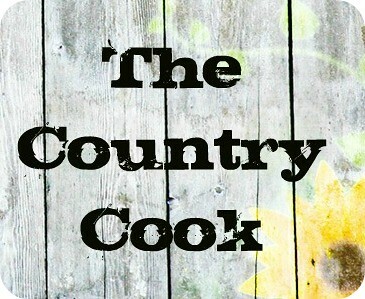 Brandie publishes TheCountryCook.net, a website dedicated to classic American recipes and quick and easy family favorites. Brandie, also a momma and a wife, lives in the beautiful mountains of Virginia. She understands the challenges of today’s busy families and shares many recipes that are quick and easy to prepare so families have more time to enjoy each other (and a tasty meal) together at the supper table. I instantly fell in love with her site…and this bread! Since then I have made many more of her recipes and what I love about them is they are easy to follow and my family loves them. A win-win! Listen to Around the Kitchen Sink every Thursday LIVE at 11 pm est on www.toginet.com , ITunes or using this podplayer! I can hardly WAIT to hear your interview with Brandie. I am one of her BIGGEST fans - love her recipes & her sweet personality. Great choice Heather!